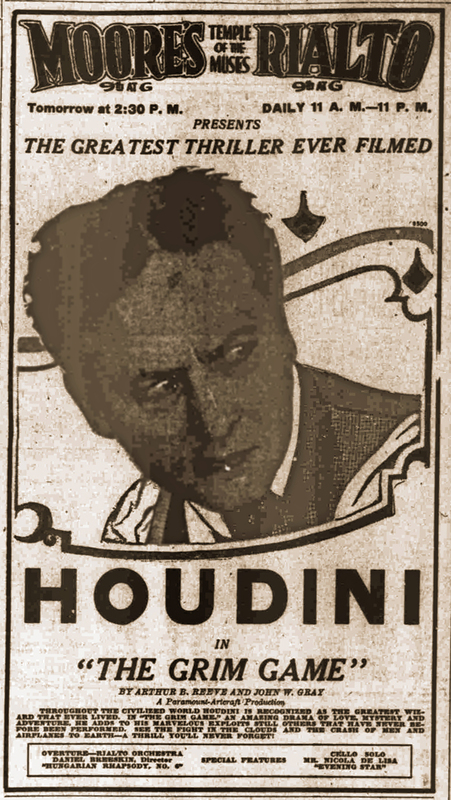 Here we have a newspaper ad for Houdini appearing in The Grim Game. The Moore's Rialto at 713 9th St. NW Washington D.C. was showing the movie. This was a 2000 seat movie house built in 1918 and this ad is from 1919, so Houdini's movie was among the first shown at the Rialto. 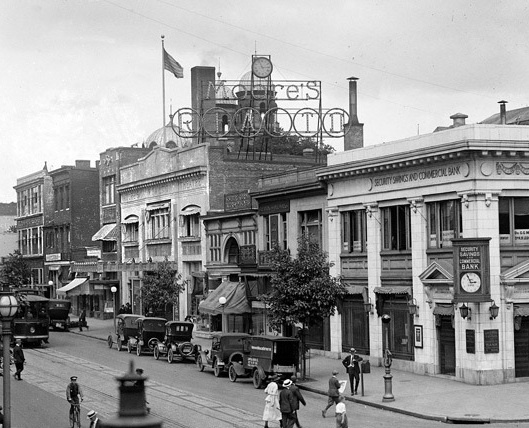 Below is a photo of what the theatre looked like in Houdini's day. Apparently the theatre didn't do too well and was converted over to a live theatre venue. Imagine that, when most live venues were going to movies, this one house was switching back to live shows. The Rialto was torn down in 1940 sadly. 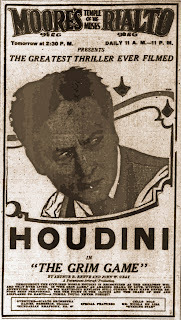 Many people claim that The Grim Game was Houdini's best movie, though not many folks today have seen it. 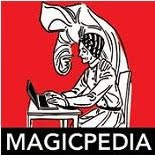 Perhaps through the efforts of Houdini Historians like Patrick Culliton and John Cox, we can one day see the movie for ourselves.